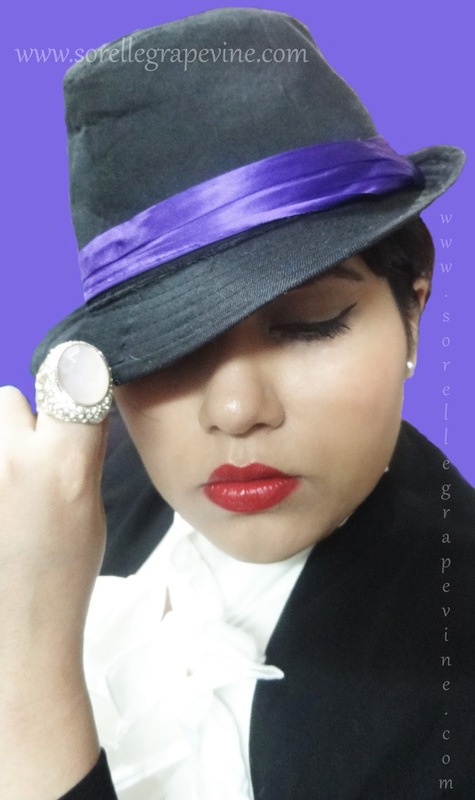 Awhile back I won a prize in a giveaway held by Ankita of Corallista. It was my first ever win in anything and I was super happy. 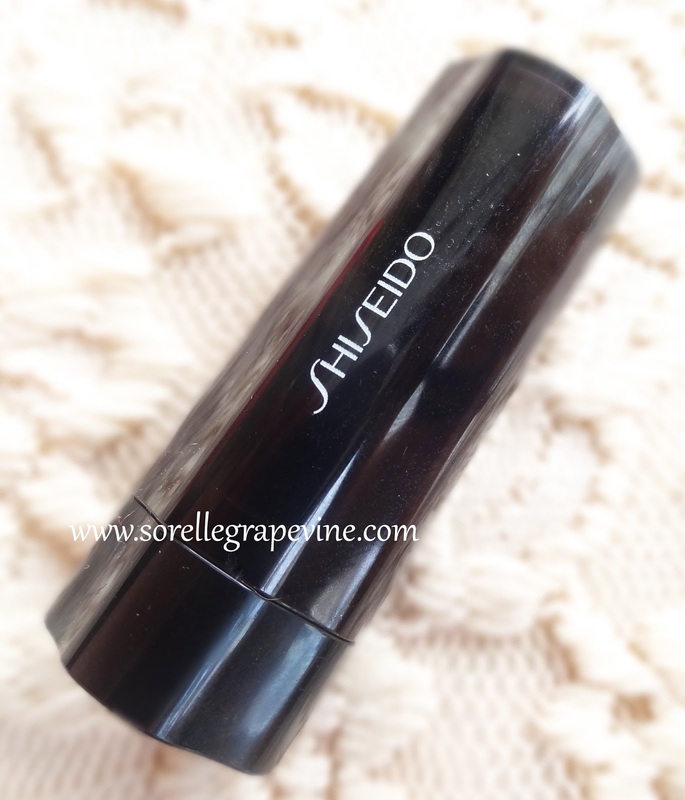 I have tried Shiseido skin care over the years and some of their products are very good and effective. My elder sis is completely hooked to their stuff as she has very sensitive skin and breaks out in almost everything so much so that she uses only specific products. But this brand was so unique for her that almost whatever she picked up went down well and she was able to use it. So having tried a lot from their skincare I didn’t venture into the makeup line though I was sorely tempted. At that time I was still buying drugstore makeup and putting in 1000 odd bucks into one makeup product was unthinkable for me 🙂 But I’m glad that I can finally say that I have used something from their makeup line. Since the piece I got is a sample size I will not comment on the packing much as I have no idea how the full size one looks like. But I will say I like the flower shape almost a four petal one that one draws in their childhood days. I’m not a fan of matte lipsticks especially cause I find them drying. This one goes on creamy and then sets to a satin matte finish which I felt was a little drying on me so personally I didn’t like the texture. A rich dark red shade which I felt lacked blue tones and was a true red. 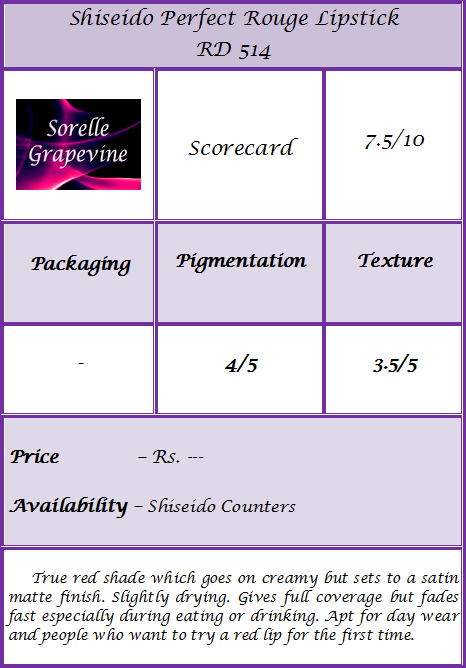 The pigmentation is quite intense and provides full coverage. 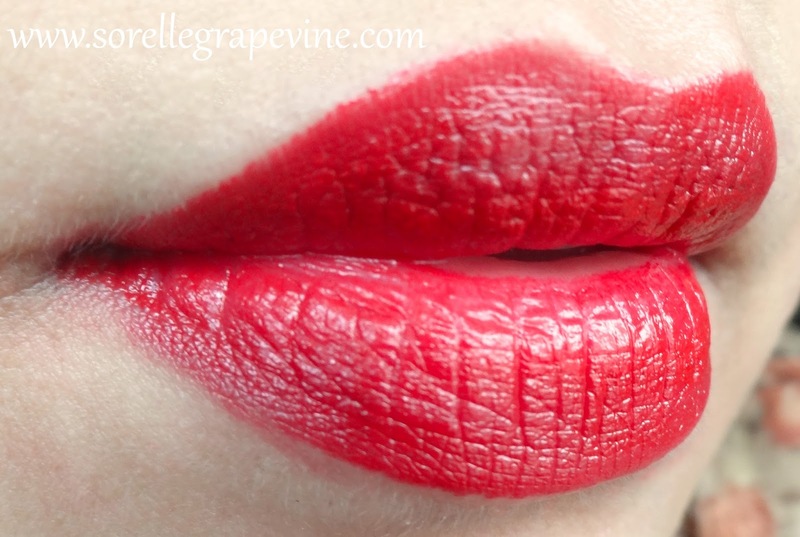 When I had attended a MAC lesson eons ago I learnt that if you are apprehensive about sporting a red lip then you should choose a darker tone of the color as it is muted in a sense as opposed to a bright one. Once you are comfortable with it you can move on to more vibrant tones. List of ingredients. Click pic to enlarge. In that sense this a perfect start up color. Not too deep to make it an evening wear shade and not too bright to make it uncomfortable to wear. 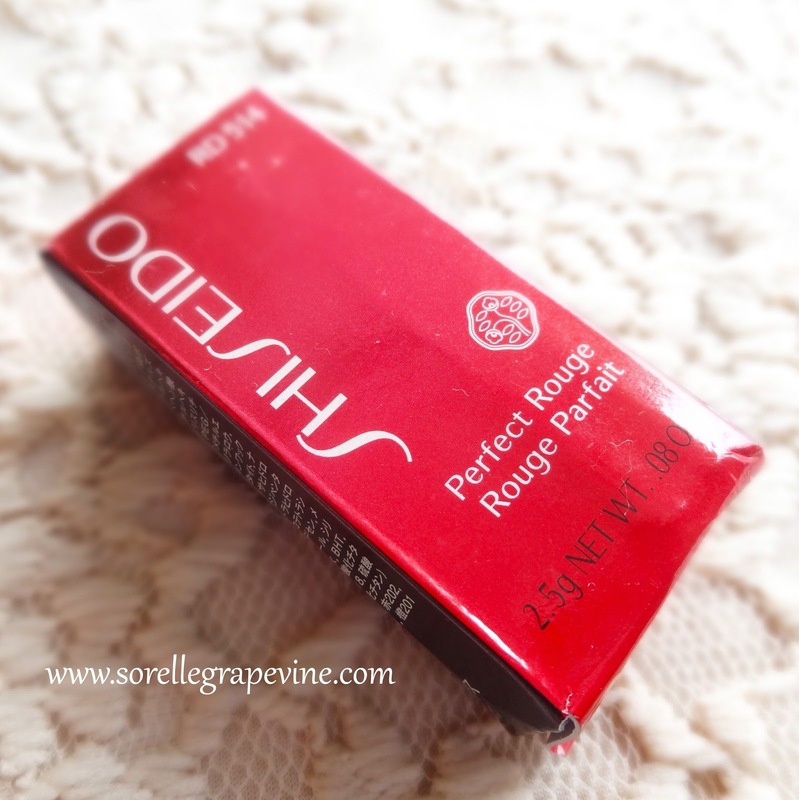 Just right 🙂 I have a few friends who are completely nuts over red tones in lippies and I’m sure they will love this one 😉 (yes you know who you are). In the kiss test, the color does not go away completely even in the 10th kiss but by the 6th one it starts sitting in your lines. 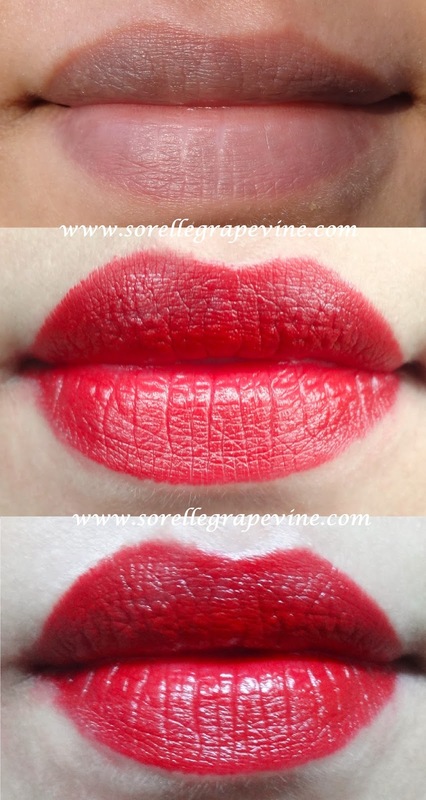 However, this does not survive eating/drinking and fades from the center part of the lips. A mere sip of water can cause a lot of color to fade out from the center which was quite weird. 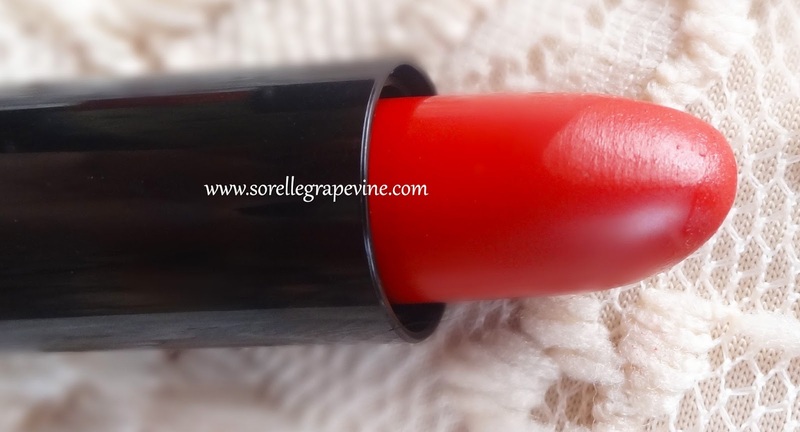 Would you purchase Shiseido Perfect Rouge Lipstick RD 514 again? – I didn’t purchase this one but no I might not. However I’m open to trying other lipsticks from the brand. 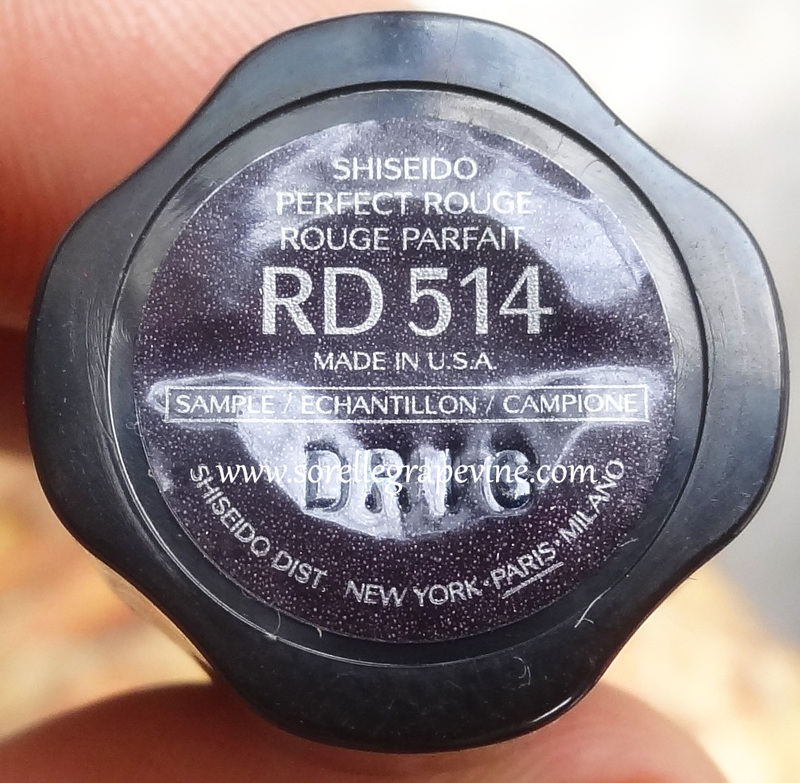 Would you recommend Shiseido Perfect Rouge Lipstick RD 514 to your friend? – Yes I would if they like matte lipsticks.